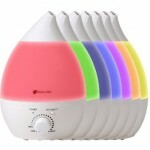 Different humidifiers work in slightly different ways and with different technology, but all basically work in the same essential way. A humidifier pushes moisture into the air, increasing the levels of humidity in the air and improving the conditions in rooms and buildings for those people in them. 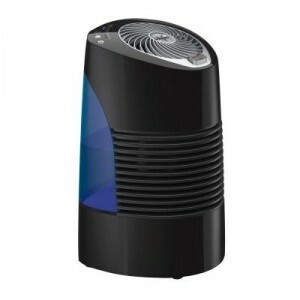 The Vornado Evap2 is an evaporative humidifier that operates by pulling dry air into the device, moving the air through a large, wet, porous wick and then using a powerful fan to expel the resulting moisturized air. 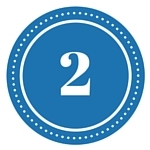 The Evap2 can convert two gallons of water into mist every 24 hours. It also works well in rooms of up to 600 square feet. 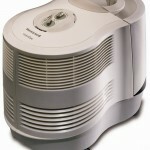 Having a humidifier or dehumidifier in your home is essential to both your health and its upkeep. 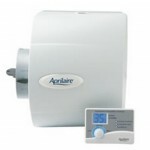 If you’re looking for a great performing bypass humidifier, look no further than the Aprilaire Model 600 Humidifier, which is one of the best on the market today. 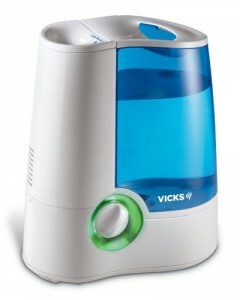 This 24V whole house humidifier comes with automatic control. 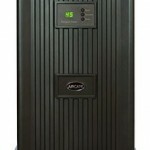 This large capacity unit is one of the best performing, highest capacity humidifiers sold on the market today. It will help bring a balance of humidity into even the largest of homes, making you comfortable, warm and healthy. 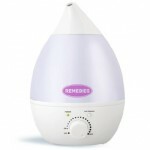 If durability, versatility and design are anything to go by, then the ReMEDies Ultrasonic Cool Mist Humidifier rightfully holds its position as one of the better humidifiers in its price range. 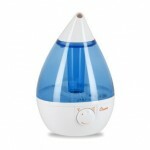 If you are willing to spend just a bit more for this three-in-one humidifier, you will not be disappointed by the quality of this product. 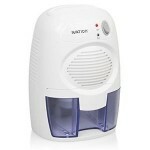 Humidifiers Keep You Healthy – Ever feel all bunged up in cold or dry weather? Well, that is because of a lack of moisture in the air. Humidity allows the tiny hairs in your nose to move and do their job of filtering out bacteria and viruses which cause colds and the flu. By adding moisture to your home, you are allowing those tiny hairs to do their job, and keeping yourself healthy. 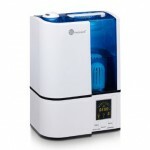 Try the The Honeywell Cool Moisture Console Humidifier. Treats Illness – If you are already sick, air moisturized with a humidifier can help soothe the symptoms of colds or flu. When the air is too dry your sinuses don’t drain and function correctly, leaving you feeling blocked up and in pain. 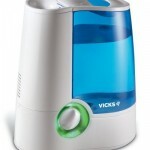 Try the Vicks Warm Mist Humidifier. No More Nosebleeds –It is essential to have your nasal passages moist and lubricated (with water, of course!) in order to prevent nosebleeds. 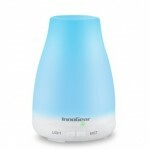 Try the TaoTronics Ultrasonic Cool Mist Humidifier. Moisturize Your Skin – Blasting the heat throughout your home during the winter months dries out the air. This can leave your skin looking and feeling tight, dry and itchy (especially around areas like your hands). Dry air also causes chapped lips more often and more easily in winter which can often feel painful. 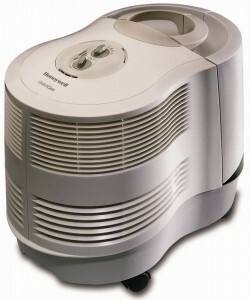 By sleeping with your humidifier on at night, you can add moisture to the air. 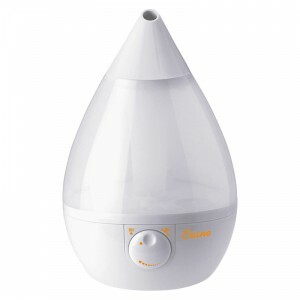 Try the PuraSense Ultrasonic Humidifier. 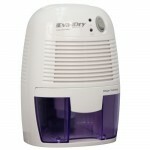 Find out what the top humidifiers are for dry skin. 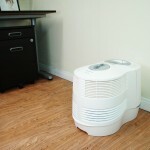 Humidifiers Help to Protect Furnishings – If you have wooden furniture and flooring, you should definitely have a humidifier. Too much moisture or dryness can be an enemy to your wood furniture – causing various problems. Too much moisture often leads to mildew while too little moisture causes dryness. 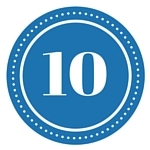 Dryness in furniture can cause it to lose its natural luster and develop weakened joints. Maintaining a consistent temperature in your home by using a humidifier can help to establish the perfect balance for your furniture to remain preserved and beautiful all year round. 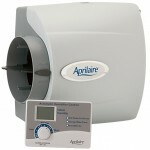 Try the Aprilaire Model 600 Humidifier. Many species of indoor plants originally come from tropical climates with high humidity. With many homes drying out during the winter months, indoor air does not offer adequate humidity for these plants to thrive. 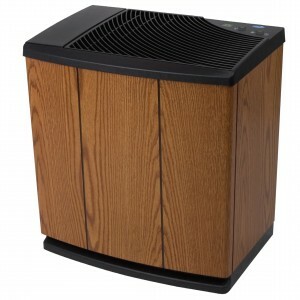 Try the Essick Air® AIRCARE EP9 800 Digital Pedestal-Style Evaporative Humidifier. The dry air in your home not only causes your socks to stick to your pants and shirts, but also causes static electricity. 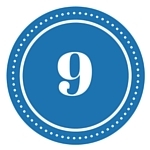 With a humidifier, you can simply lessen the potential for static electricity throughout the year and almost completely control it by keeping the humidity from dropping. Added static electricity in your home can be annoying, but it can also be a real danger to your electronic equipment – including your computer. Some products require you to empty them daily and, as mentioned, that can be a little frustrating. If you do have a humidifier that requires daily emptying, you should be sure that the process itself is relatively straightforward and simple. If this is the case, you will not be too put out. For an easy to maintain humidifier try the Honeywell Filter Free Warm Moisture Humidifier. 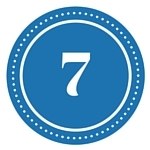 The output strength of a humidifier dictates how well the unit can keep humidity levels at the required level in a given space. Obviously weaker models will be unable to maintain healthy humidity levels in larger spaces. If you are looking to sill only a small space, you may not need to invest in a large humidifier with a lot of output strength, and so can save a little money. 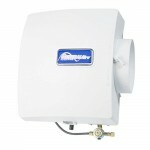 Try the Aprilaire 400 Humidifier from Bypass. If you are looking to run your humidifier throughout the night or during long periods of time, the tank’s capacity is extremely important. Units with smaller tanks will require you to refill it regularly in order for the balance of humidity to be maintained. 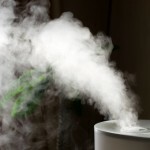 For this reason you may prefer to find a humidifier with a larger tank. 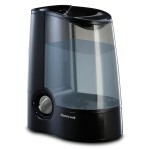 Try the Aprilaire 360 Humidifier. 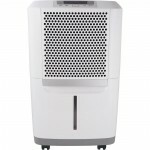 If you’re a light sleeper or you’re looking to place your humidifier in a child’s room or your living room, noise will play a huge factor in which humidifier you choose. 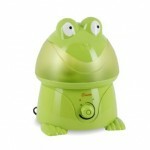 Try the Crane Ultrasonic Cool Mist Humidifier. Duration will depend upon both the reservoir’s capacity and your own choice of setting for the humidifier. The duration of a model with a large tank is likely to be longer and will run throughout the night, for example, without you needing to refill it. However, if you select the highest mist output setting, the unit will of course use more water and, therefore, your duration time will be decreased. 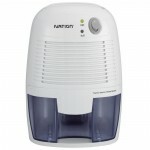 If durability, versatility and design are anything to go by, then the ReMEDies Ultrasonic Cool Mist Humidifier rightfully holds its position as one of the better humidifiers in its price range. 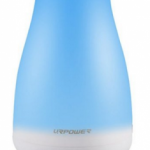 Being the second generation of this specific model of humidifiers, Urpower Ultrasonic Aroma Essential Oil Diffuser has been upgraded to perform superiorly to the first generation. With a better design, better functionality and improved efficiency, the URPOWER 2nd Version is more than just a humidifier in your home. Perfect for homeowners who are smokers or own pets, the InnoGear® 100ml Aromatherapy Essential Oil masks any odors that they might cause. Whether I’ve had a tough day at the office or just a very stressful day in general, coming home to a beautifully fragranced home almost immediately makes everything better. Designed to humidify much larger spaces, The Honeywell Cool Moisture Console Humidifier provides relief for the discomfort caused by dry air conditions. It can service an area of up to 1,900 square feet and is perfect for areas such as the lounge, dining room or larger bedrooms. 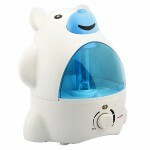 The PuraSense Ultrasonic Humidifier is a good investment and excellent value for your money. 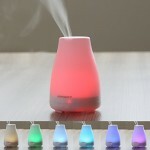 If you are looking for a three-in-one product – essential oil diffuser, humidifier and light – then I would consider it. 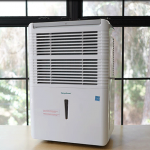 – Reduces humidity levels making your home less hospitable to allergens such as dust mites, mold and mildew. – Not disruptive to your daily life as it runs quietly and efficiently allowing for the lack of sleep deprivation. 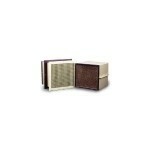 – Reduces odors that can accompany mold and mildew in your bedroom. – Reduces the possibility of mold developing on your clothing, furniture, curtains, bed sheets and other linens. – Reduces irritation to your skin and your respiratory system, allowing you to breathe easier and feel comfortable especially at night. – Allows clothing to dry faster. – Reduces dust in your bedroom. – Helps with flood restoration.